Sibling musical act, Biko’s Manna, are playing all the right chords as they take centre stage. 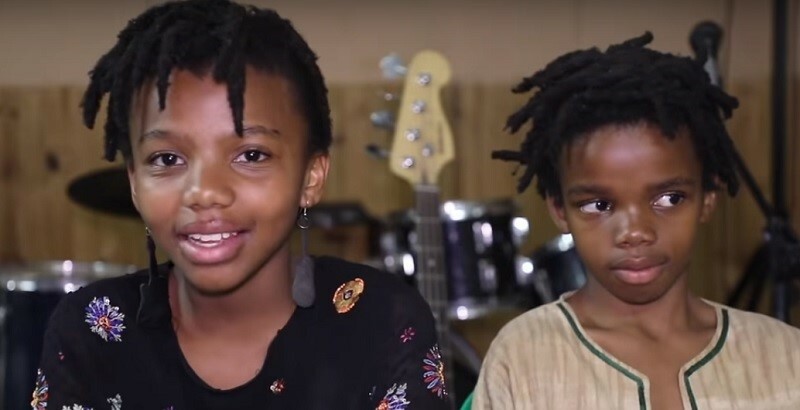 Every weekend 12-year-old Biko and her 9-year-old brother Manna attract crowds with their talented musical performances on the pavements of Maboneng. The brother and sister duo owe their creativity and love of music to their parents who are performing artists themselves, their proud father often supporting and performing alongside his talented twosome by playing the traditional drums while their mother who comes from a long line of musicians, acts as their manager. The very talented Biko’s Manna, as the band is named, has been performing since 2016 and are taking Johannesburg by storm. Their talent is so impressive it managed to grab the attention of legendary South African musician Bheki Khoza, who soon took them under his experienced wing and became their music teacher. “I love music because it makes me feel good. It makes me feel happy because I make people happy too,” the very talented Biko has said. Eye Witness News interview the sibling band, watch it here and be inspired.